Looks like its never enough! 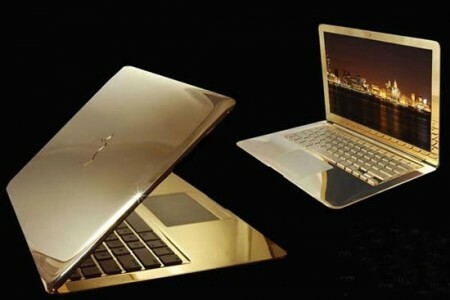 A Macbook Air with a gold makeover? A Macbook air named “Supreme fire” is out and has a shiny touch to it. 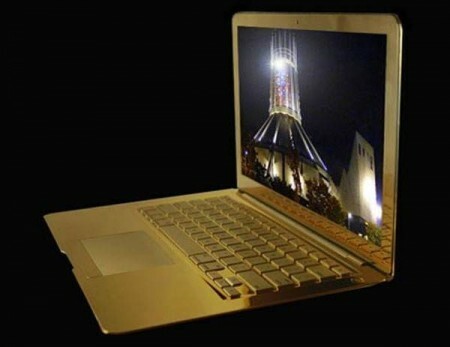 Coated with 24-carat gold makes it stand outside from other Macbooks. It doesn’t end there, it also has a Apple logo that is dressed with 53 individual 25.5 carat of diamonds, interesting! Thanks to all the jewellery, this Macbook air weights about 2.6 kg. A similar MacBook Air by Computer Choppers was priced at $5,000. Not really sure who would want to buy this considering the threat of being stolen is very real and infact just went up. One thing is for sure, 10 years from now this slow Macbook air will actually be more pricey unlike other computers. How about an Apple employee leaving this in a bar? I don’t think so! New MacBook’s suffering from GPU related Freezes! Pingback: Can someone give me an estimate value of an old antique pocket watch?